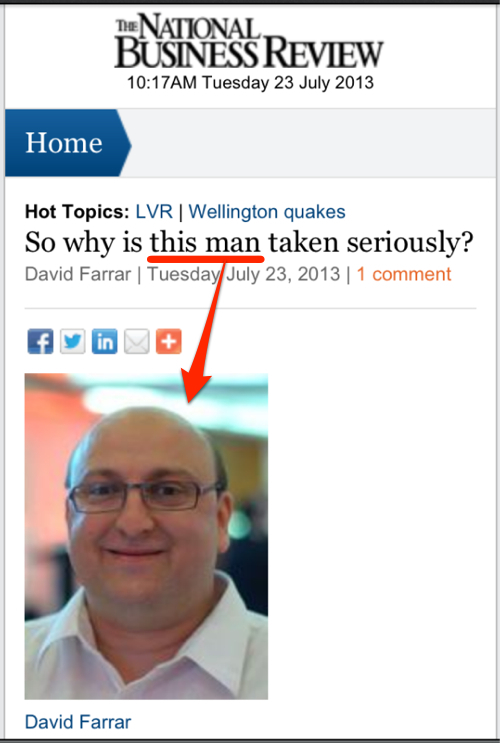 You’re doing ‘hit-pieces’ on government critics, now David? Seriously? You may remember the name David Farrar. 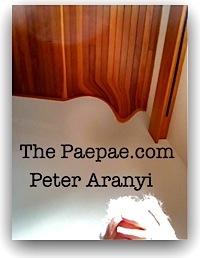 I write about him here now and then, usually fairly affectionately (well, comparatively). Yeah, we all know David is a National Party spin doctor, and has been employed for polling/advice/propaganda/pep-talks/training/driving lessons. (‘Gums for hire’, I call people like him, although they may do some of that stuff purely as a hobby.) He’s performed no doubt highly valuable work in various National Party leaders’ offices (Bolger, Shipley, English, Brash). No problem. And I’ve always found David Farrar a far more likeable media manipulator than, say, that foaming RWNJ [redacted]. (Least-said-soonest-mended). But I was struck by David’s odious effort today to smear a critic of the government’s electricity policy(?) I guess. I wasn’t paying attention until I saw David’s smear. I don’t know the ‘target’ of David’s campaign. I’ve got no personal, political or other reason to defend him. But I have heard of David Farrar — some see David as a new media Goliath, if you’ll pardon the terrible pun. I think a shabby little hit-piece like that, a scruffy attempt at some sort of ‘Gotcha!’, demeans him. Thankyou.. Now the curtains need to come fully down.. When is a poll not a poll but a political spin presented as a ‘poll’..
David or Mark Textor could tell us no doubt Peter.. I doubt they will though, so maybe the centre and a littleLeft as well the left of Left need a few of our own! The whole world of political and opinion polling and its role in opinion-forming intrigues me. One of the best books I’ve read on the topic was The Hidden Persuaders by Vance Packard — which recorded ideas and applications of psychological testing and ‘consumer’ surveys … and revolutionised the advertising industry. Naturally, it was quickly applied to election campaigns. 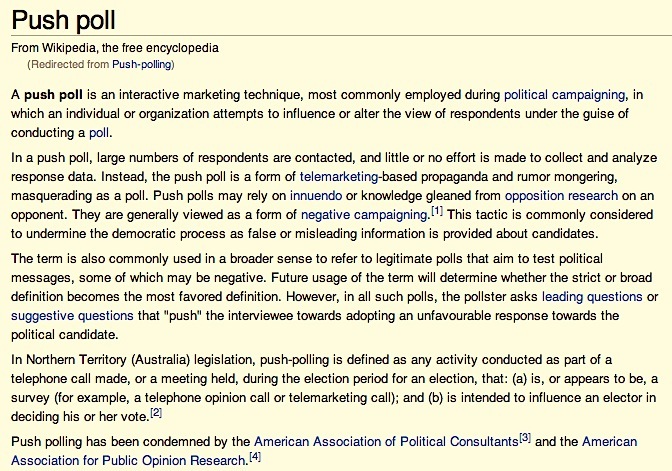 I remember seeing David Farrar reacting strongly somewhere when accused of ‘push-polling’ (i.e. he denied doing it). You can see the idea of a smear campaign dressed up as a survey (‘pushing’ the interviewee towards adopting an unfavourable response towards the political candidate) is a known tactic. For sure, whether in fact stooping to those techniques, how poll/survey questions are framed — what‘s asked and how — and their deployment (who is polled) can be contentious. The area is fraught with claims of dark arts voodoo and hyperbole. It would be really interesting to see the corrosive effect of asking, month after month after month, if people thought, say, NZ prime minister John Key was (a) more honest or (b) less honest than, say, ooh, I don’t know … Kim Dotcom. A 3 News Reid Research poll asked the public who they believe; 52 percent said they believe Dotcom, while 34 percent believe Mr Key. The rest said they didn’t know or care. Interesting. Now I wonder what would it be like if they made that or a similar query about Mr Key’s integrity-believability a question they asked EVERY MONTH, month after month? Would that/could that be likely to make Mr Key’s trustworthiness an election issue? Dunno. You could argue it’s covered in the ‘preferred prime minister’ stakes … but I wouldn’t agree. Just asking the question puts a thought in people’s minds.